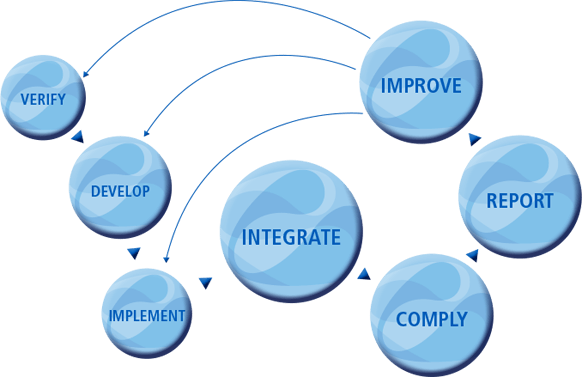 Crandale promotes the use of a logical seven step process to ensure a comprehensive asset integrity maintenance program. Each step can be reviewed and implemented independently or grouped in a series depending on individual client needs. A process to efficiently build a verified asset register and to ensure that data required for operations personnel is as complete as possible. The asset register is verified to ensure full compliance with ISO 14224:2016. Verification can take the form of site visits to physically identify the equipment or a paper exercise using controlled documentation. During both processes supporting equipment technical attributes will be collated. The functional description and boundary of the equipment. The prescribed generic/specific maintenance strategy for the equipment. The Repair Strategy describing the appropriate approach to equipment reinstatement, be it; unit replacement, component replacement, vendor refurbishment, etc. The recommended preventive and condition based maintenance activities to defend against the identified Failure Modes together with their frequencies and trades. The periodicity of the recommended activities. A summary of Work Instructions and their periodicity. Failure data used to support the strategy, if available. Utilising tried and tested technology, Crandale can introduce a handheld data logger system to capture third party inspection records which automatically interfaces with your WMS. This will improve work efficiency with a centralised WMS and integrated remote solution. Ensure that inspection records are accurate and comprehensive and KP3 compliant. We recognise that continuous improvement is an essential part in the client’s quality management system and is paramount in ensuring operational efficiency. Crandale shall develop a continuous improvement program to enhance the system based on the KPIs.